It wasn't the prettiest encore to one of the biggest wins in school history, but Furman did what was necessary against a Division II opponent Wednesday night at Timmons Arena. Matt Rafferty scored a game-high 18 points - all in the first half - to lead the Paladins to a 74-57 win over Southern Wesleyan. While Furman improved to 6-0 for the first time in school history, there was nothing else particularly noteworthy Wednesday. A media circus has buzzed around the team for two weeks, hitting an all-time high following the Paladins' overtime win at reigning national champion Villanova Saturday. Following all of that, a ho-hum 17-point win Wednesday was just fine with Furman coach Bob Richey. "It's a relief to know that we're definitely not going to be on SportsCenter tonight," Richey said with a grin. "All of us have to get off our phones a little bit. It's hard because these kids' phones have been blowing up. ... All of a sudden, it's a lot coming at them. "We created lifetime memories that will be there forever and we're going to appreciate what we've done, but in this moment we've got to put it behind us a little bit. We've got to get out of some of this external stuff and focus on the task at hand." Richey said he was looking forward to the team enjoying Thanksgiving Thursday and kind of closing a chapter of the season along with it. With no more non-Div. 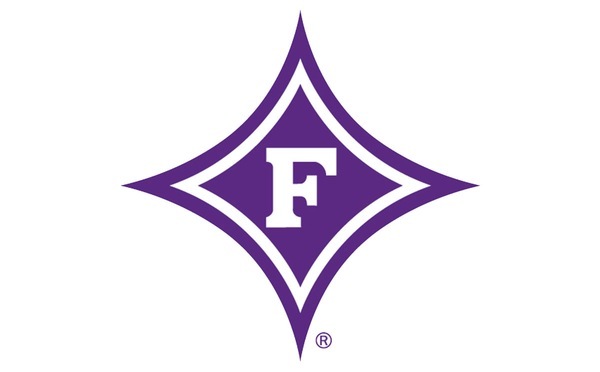 I opponents left to play, Furman shifts into facing competition similar to what it will see in Southern Conference play beginning Sunday at 4 p.m. at UNC Asheville. Richey wasn't pleased with sloppy play at times from the Paladins Wednesday. 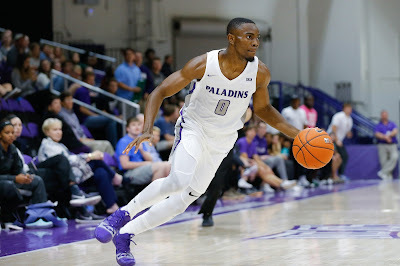 After committing three and six turnovers, respectively, against other non-Division I opponents Bob Jones and North Greenville this year, the Paladins had 15 Wednesday. While Furman limited Southern Wesleyan to 40.4 percent shooting from the floor, the Warriors did connect on 11-of-28 3-pointers (39.3 percent). Meanwhile, Furman made just 5-of-21 shots (23.8 percent) from beyond the arc. The difference came in the paint, where the Paladins posted a 44-18 advantage. Furman also used 13 steals for a 20-11 edge in points off turnovers and a 14-0 advantage in fast break scoring. "We didn't shoot the ball as well as we'd like and we let them shoot too well," Richey said. "For whatever reason, some of our starters had a rough night with focus and intensity. "I knew there was going to be some physical fatigue, but I didn't really expect all the emotional fatigue. I think you could kind of see some of that tonight." Much like last Thursday against North Greenville, Furman jumped out on top early Wednesday before allowing Southern Wesleyan to get back in it. The Paladins led 23-13 with 10:26 left, but suffered turnovers on each of their next five possessions and the Warriors went on a 9-0 run during that stretch. A 3-pointer by Lamont Smith gave Southern Wesleyan its only lead of the night at 28-27 with 5:55 left in the half. Furman went a total of 5:34 between field goals until Noah Gurley's layup with 4:52 left in the half. The Warriors tied it for the last time at 30-30 with 4:32 left before Furman closed out the half on a 12-2 run to take a 42-32 lead into halftime. "It wasn't the way we want to play. That's on me and all the leaders. ... We got the win. That's all that matters, but we've got the flip the page quickly," Rafferty said. "Being 6-0 is exciting and something the program has never done, but like Coach Richey just said, we can think about that stuff after the season. We've got to worry about our next game and just focus on getting better." Clay Mounce hit a 3-pointer off an assist from Rafferty 12 seconds into the second half. Two minutes later, Rafferty found Mounce for three again. Thirty-five seconds later, Rafferty stole the ball and fired a beautiful beautiful bullet of a pass to Mounce who soared to the basket for a dunk to push Furman's lead to 50-34. The Paladins never held a lead of fewer than 13 the rest of the way. No starter played more than 23 minutes for Furman. The only Paladin who played more was Tre Clark who came off the bench to score a career-high 10 points in 24 minutes. In addition to his game-high 18 points on 6-of-6 shooting from the floor, Rafferty had four assists and two steals. Mounce finished with 13 points, five rebounds, three assists and three steals. Jalen Williams had nine points and eight rebounds in 13 minutes off the bench, while Mike Bothwell also scored nine. In just 14 minutes of playing time, freshman Jalen Slawson had four points, five rebounds, three blocked shots and three steals. "Obviously, it wasn't our sharpest performance of the year, but we got the job done and we were able to play 10 guys pretty good minutes," Richey said. "Even though we weren't having the sharpest night, I thought it was important to get our depth some minutes. "Our young guys brought some energy. Tre Clark brought some energy, Mike Bothwell had his best game of the year and Slawson was really active defensively and made some great plays. Jalen Williams got in there and mixed it up and got physical."